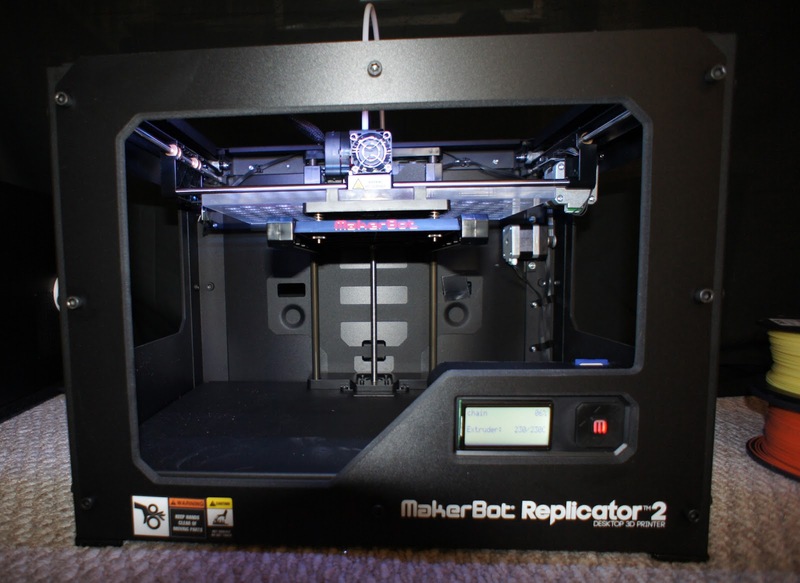 One of my latest gadgets is the MakerBot Replicator 2 3D printer. 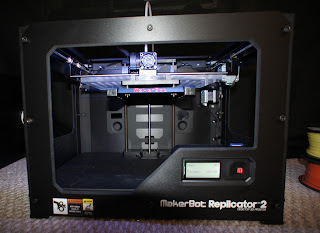 There is a lot to learn and to say about the Replicator 2, so this will not really be a review so much as a set of first impressions and observations. I plan to follow up with additional information after I’ve had more time to play with it. Sorry Scott had trouble with his. I've had good luck with mine so far. One short coming of the Replicator 2 is the filament extruder design. There are many replacement options available on the thingyverse but they all degrade over time. There is an Aluminum/PEEK upgrade currently being offered which improves the reliability greatly. BTW, the Makerbot Opertator Group on Google is full of very helpful people and a great source of troubleshooting info and tips. I've been thinking of buying one of these printers, after having it a few months what's your opinion today? I got an email two weeks ago offering me a free filament extruder "upgrade". I'll let folks know how it works when I get it. I have been very happy with mine, though I admit I have not implemented any of my grand plans for it. In truth, it is rather expensive as a toy, though I have thoroughly enjoyed it. I sort of feel at this point it is like a boat--it is better to have a friend with a boat than a boat. I'm hoping to spend more time with it over the summer and write a blog entry about my experiences during 6 months of use. Of course, that does require me to have the necessary time!